Tom Yum is a hot and spicy soup, as lunch very popular in Thailand. It has a sharp sour garlic flavour with a hint of basil, a bit slimy with a pleasant aftertaste of crustaceans. 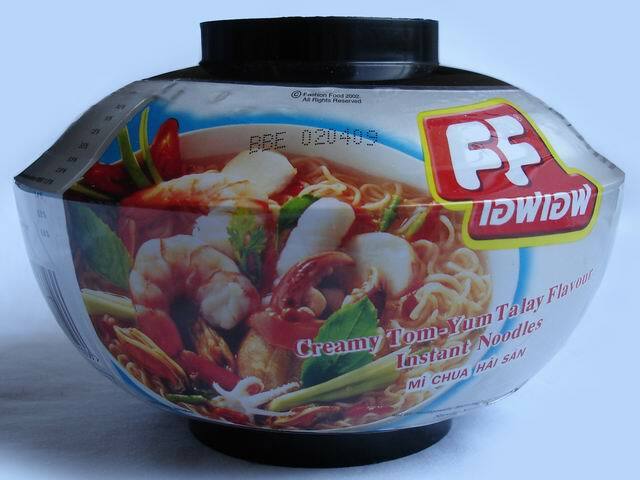 Tom Yum is now packaged in an on-the-go plastic bowl with lid. on-the-go snack, the consumer has always the problem, where he can get a (soup) bowl or another type of cup. 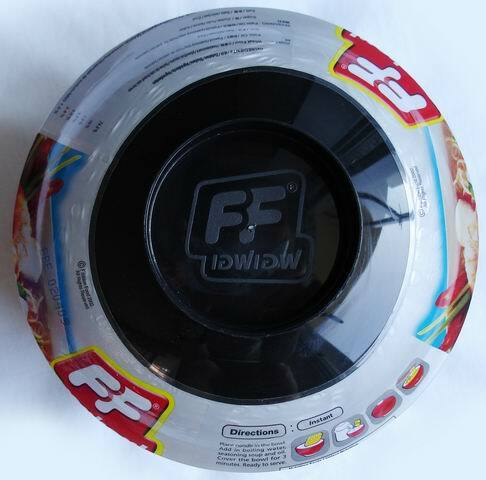 Fashion Food Co from Thailand perfected the presentation of its famous noodles under the brand name: “FF” by packing them in a high-quality plastic bowl with lid, creating a real on-the-go meal. All Fashion Food Co’s products are certified Halal and are manufactured under the HACCP and Good Manufacturing Practice protocols. A pack of the dried noodles (65 g), a bag with spices, a little bag with oil and a fork are packed together in the soup bowl with lid, made of heat resistant PP. The bowl has a diameter of 14.5 cm and a height of 7 cm (including the lid 10 cm). 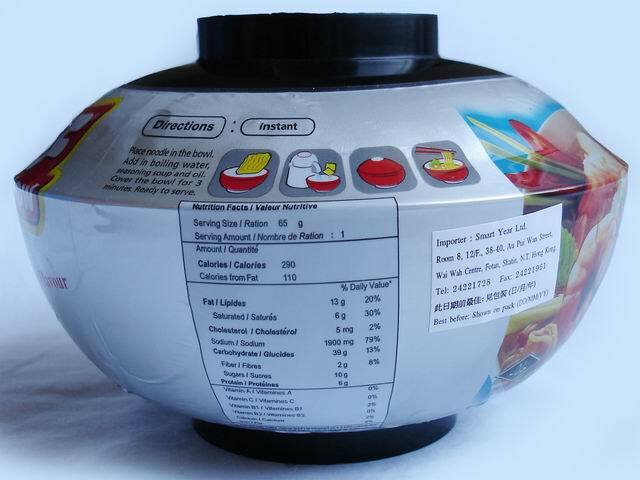 The bowl with lid is shrink wrapped with a half body shrink sleeve with full printing, including a list of ingredients and nutrition values, next to a beautiful image of the product ready to consume. The shrink sleeve covers a portion of the lid for tamper-evidence. After opening the package the noodles, spices and oil, which are all separately packed and placed in the bowl only have to be stripped of their wrapper, after which boiling water can be added. Put the lid on top, wait 3 minutes and the Tom Yum is ready for consumption. The fork is packed with it.